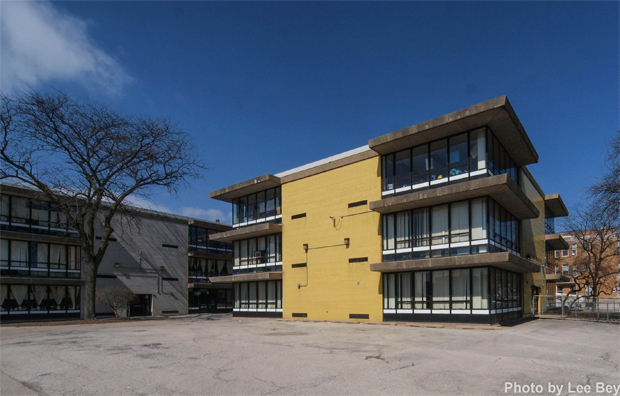 Could proposed school closings put an important class of architecture at risk? 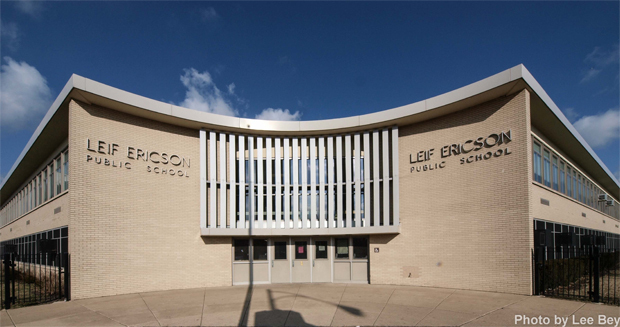 Located on the southern tip of historic Garfield Park, Leif Ericson School is a nice slice of postwar modernism: a low-slung, blond brick building with two wings that meet in a curved, visually powerful, yet welcoming entry plaza. But the 51-year-old building might be on borrowed time. 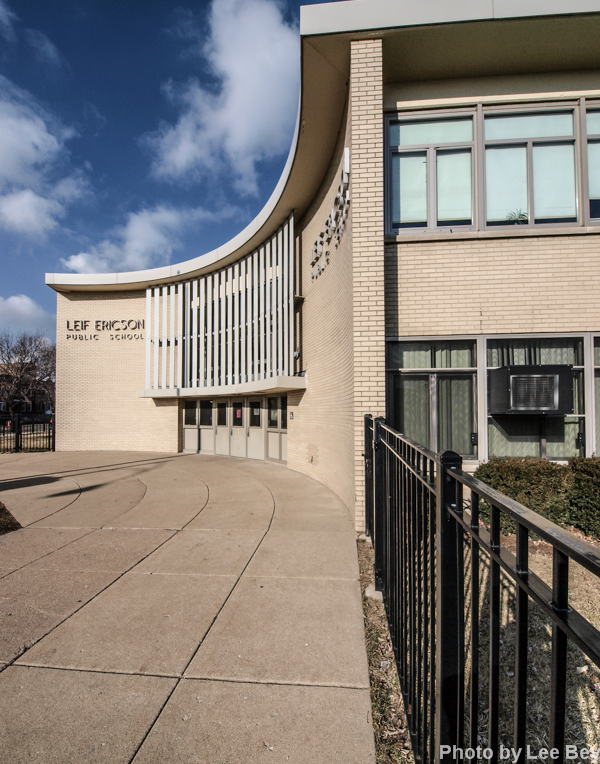 Ericson, 3600 W. Fifth Avenue, is one of 54 Chicago Public Schools that could be shut down under the largest round of planned school closures in U.S. history, announced last week. How the plan will impact students and families is the stuff of vigorous public discussion for now and for months to come. But the proposed move places another question on the horizon: What will happen to the closed school buildings, many of which--like Ericson--are remarkable pieces of architecture, often done by the city&apos;s best architects, and are worthy of preservation and reuse? I spent last weekend photographing schools slated for closure. 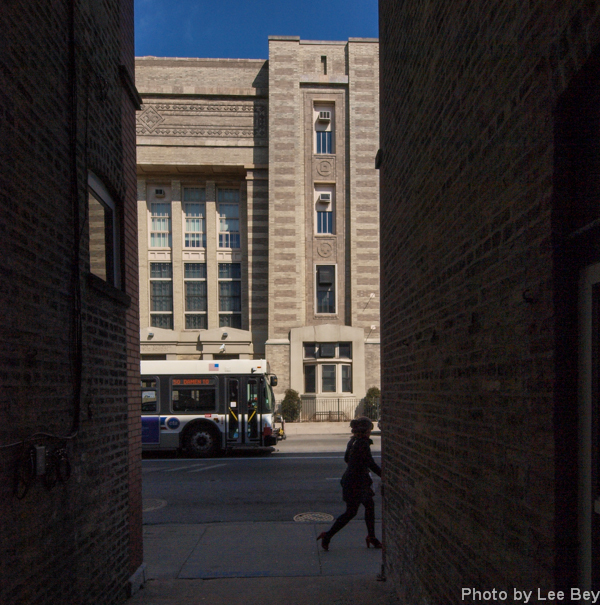 Like most of the Chicago Public Schools real estate portfolio, the targeted buildings are largely well-designed and neatly-kept structures built between the early and mid-20th century. During a five-year stint as chief architect for the Chicago Board of Education, Perkins designed 40 schools including his masterpiece on Milwaukee Avenue, Carl Schurz High School. He founded the architecture firm Perkins Fellows & Hamilton and later joined the marquee of Perkins Chatten & Hammond. His son, Lawrence Perkins, founded architectural giant Perkins & Will. If the schools must be closed, treating the buildings like potential community resources, rather than objects to be demolished or otherwise cast-off should be the first order of business. We&apos;re a green city? Reusing as many of these building as possible is much greener than rolling the bulldozers on them. 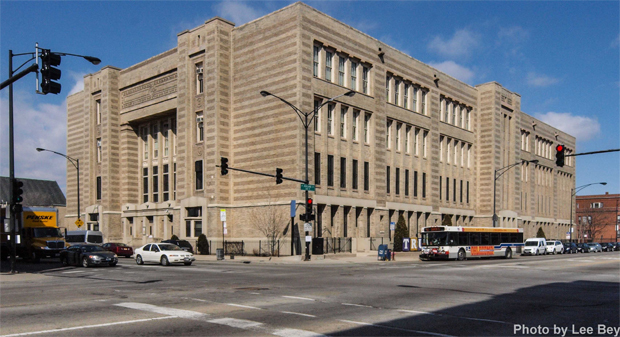 One hopeful sign: a Chicago Public Schools spokesperson said the district&apos;s CEO Barbara Byrd-Bennett "wants to find creative ways to re-purpose these buildings so they can continue serving their communities." The former Price School, 43rd and Drexel, is a location for the City Year program and a parent center, she said. The spokesperson said the district "may not be able to repurpose each and every one" and might be able to sell some schools. She said school officials have begun "engaging the community over the last several weeks and will continue to in order identify ways to use these buildings so that they can continue to serve their communities." But there is no need for the school system to shoulder this task alone. Once the closing list is finalized after public hearings, a task force of architectural preservation experts, community folk, school officials, open space advocates, urban planners and real estate types should be formed to publicly figure out which school buildings to preserve and for what new purpose. The group could seek ways to preserve the best buildings, but their work could also go much deeper. School buildings have kitchens, auditoriums, gyms--things that are sadly lacking in many of the neighborhoods that could suffer the brunt of the closings. 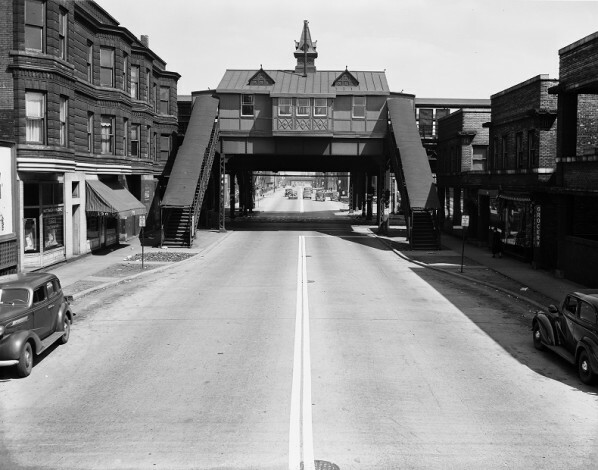 And like good architecture, community amenities like those are hard to replace, once gone. That&apos;s lesson this city continues to learn, albeit the hard way. Here&apos;s a chance to do something new.